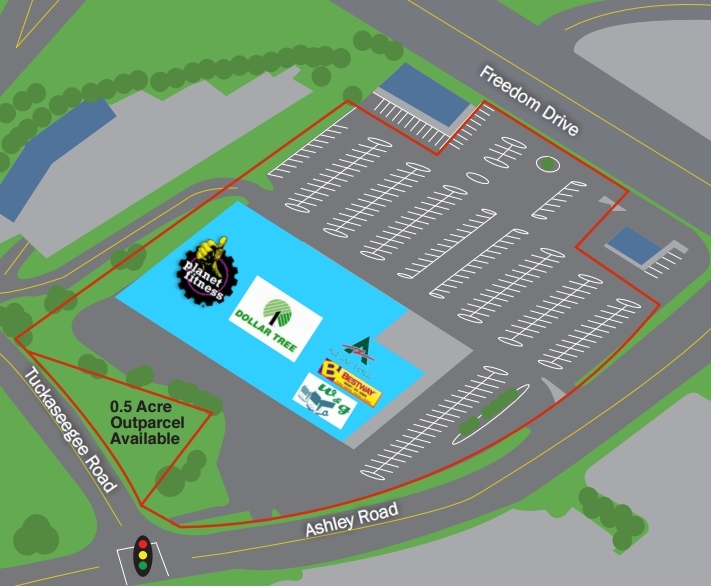 The Freedom Plaza is a 65,000 square foot discount center anchored by Dollar Tree and Planet Fitness at the I-85 Freedom Dr interchange. All retail space is currently 100% leased. 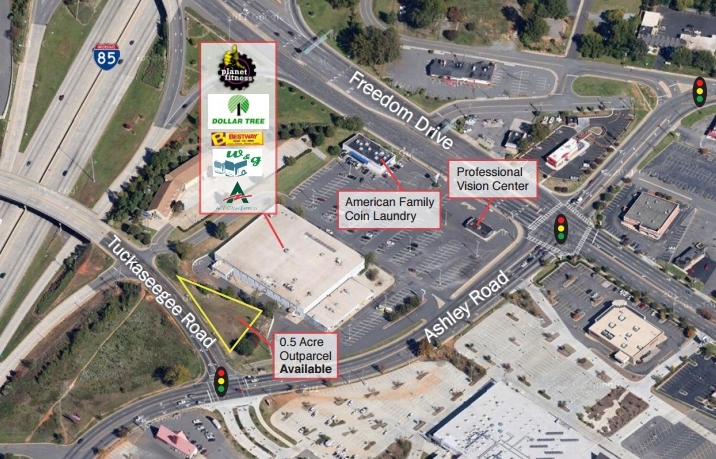 An approximate 0.5 acre parcel is available fronting Ashley Rd. Please contact the listing agent for more information.